he Hubs needs snacks! He can go from “working on all cylinders” to “crash and burn” in 60 seconds flat. And I’m no better, as a stay-at-home, home-schooling, part-time-blogging, mom of four, I can get so caught up in our day that I easily forget to feed my face and wind up irritable, cranky and…I believe the word I’m looking for is “HANGRY”. 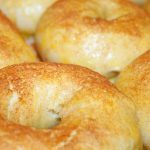 Because of this, I like to keep quick and easy snacks on hand that we can grab whenever low blood-sugar rears its ugly head! Jerky is the perfect solution; it’s high in protein and can be flavored a thousand different ways. Pair it with a handful of homemade Pookie-mix and we’ll be running on all four cylinders for hours! 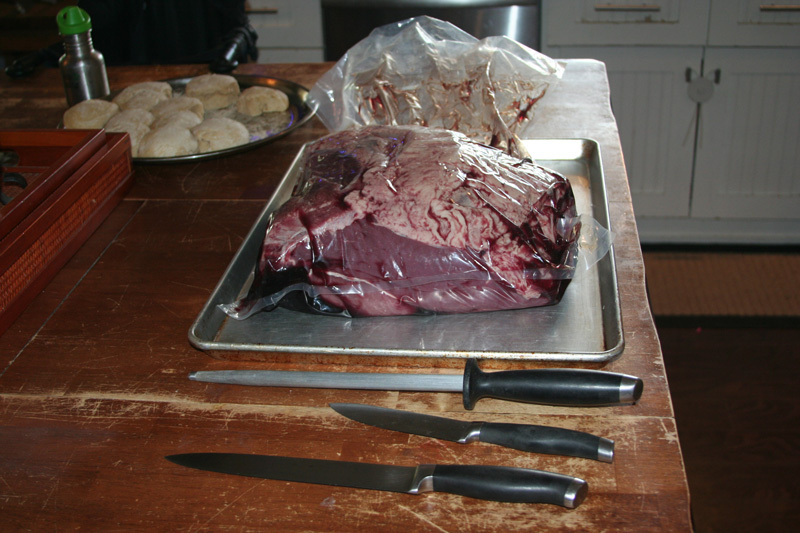 This recipe is enough to marinate approximately 4-5 pounds of sliced jerky meat and works well with beef, pork, turkey, venison, elk and moose. 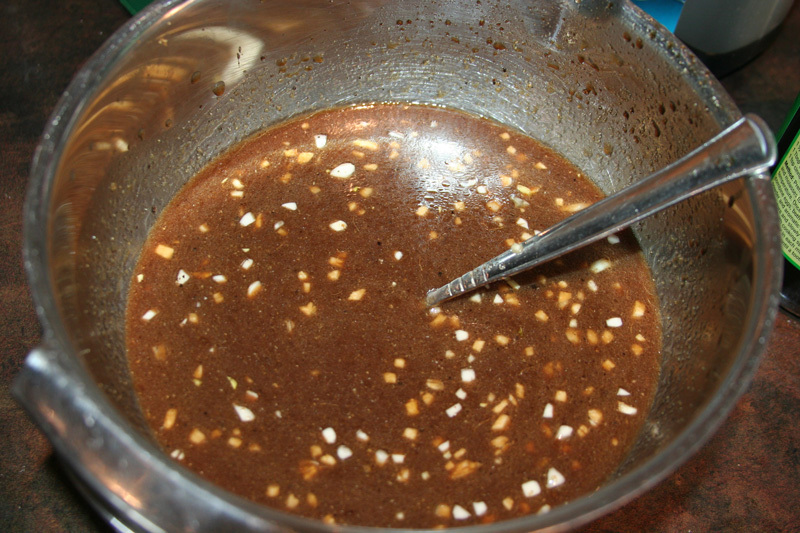 To Make Teriyaki Sauce: Make brown sugar (if using our DIY recipe), mince garlic and add all ingredients in a quart size mason jar. Screw lid on tight and shake to combine. 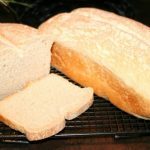 Refrigerate and use within a month. Step 1: Make brown sugar (if using our DIY recipe), then add all ingredients in a medium size bowl and whisk to combine. 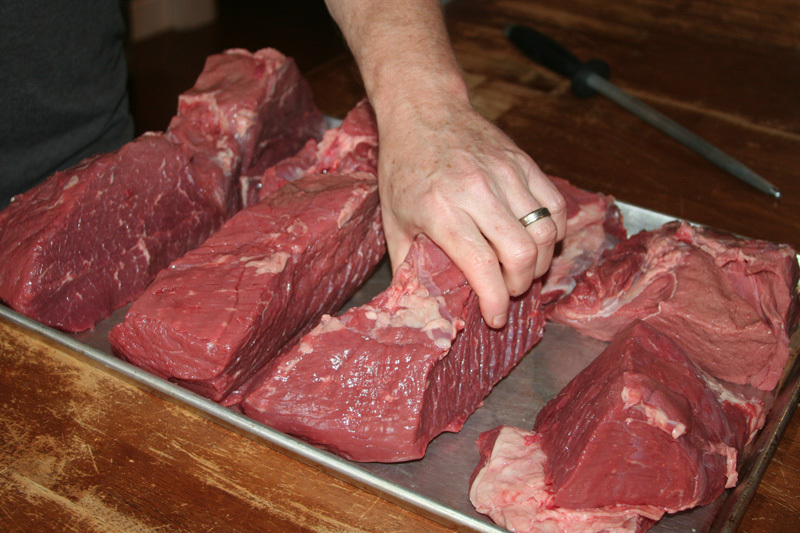 Step 2: Slice meat into 1/4-1/8 inch slices (remembering they’ll shrink in size by about half). 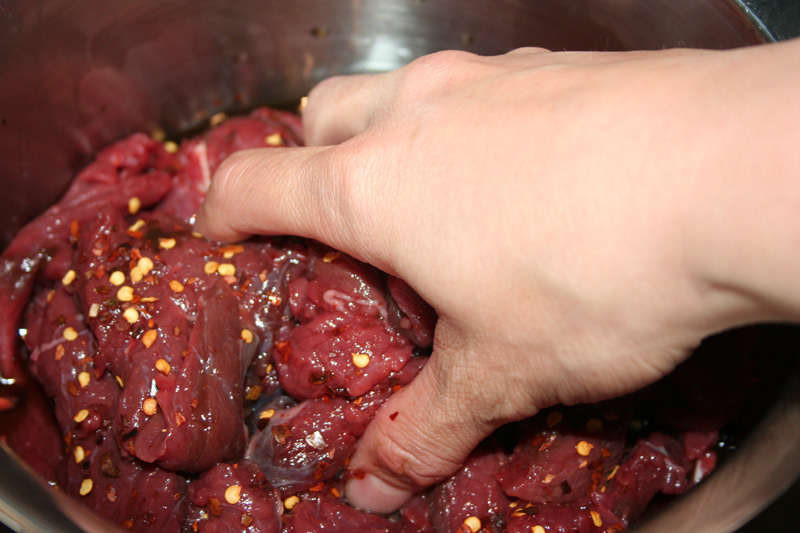 Place sliced meat and marinade into a zip-top bag, seal and place in a large bowl in the refrigerator. 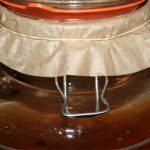 Marinate, turning every 6-8 hours for 12-48 hours. Step 3: Drain marinade and save it to marinate tonight’s dinner, or discard. Step 4: Arrange meat onto dehydrator trays, do not overcrowd as this will prolong the drying time. Step 5: Dehydrate at 160℉ for 4-12 hours. 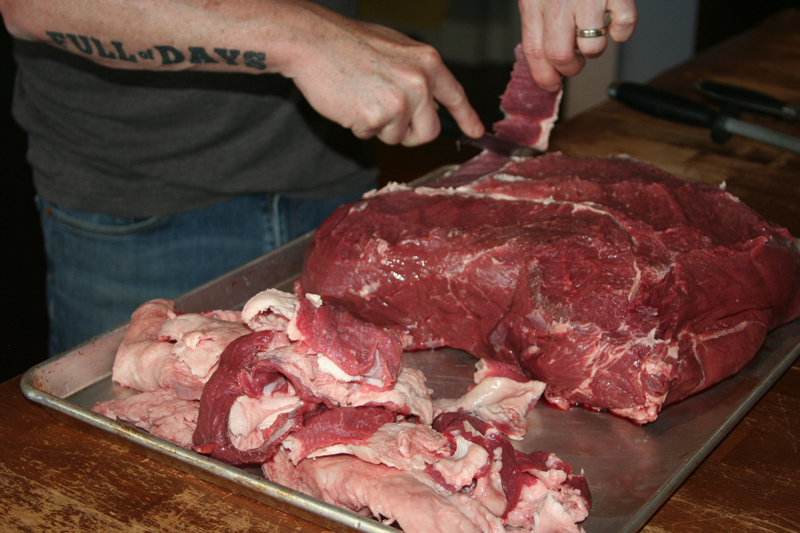 The time will depend on how thick your meat is cut. Check every couple of hours as some pieces may finish before others. Step 6: Once meat reaches desired consistency, remove from dehydrator and allow to cool completely. Store in an airtight container in the refrigerator, or divide into individual serving sizes and freeze to pull out as needed. We buy 20 pounds of un-trimmed, Top Round from a local butcher. It’s a big hunk a meat but really quite economical. For this article we paid $3.50 a pound for the meat (may have trimmed off a single pound of fat). The same chunk trimmed out and cut jerky ready would have been $7.00 per pound. Also consider that store bought, preservative free jerky, can easily coast $30.00 per pound, making $3.50 per pound and a little work is a great deal! I’m hypoglycemic also and when my blood sugar falls….it’s not pretty!!!! We try to keep things like beef jerky and dried fruit for times like this. 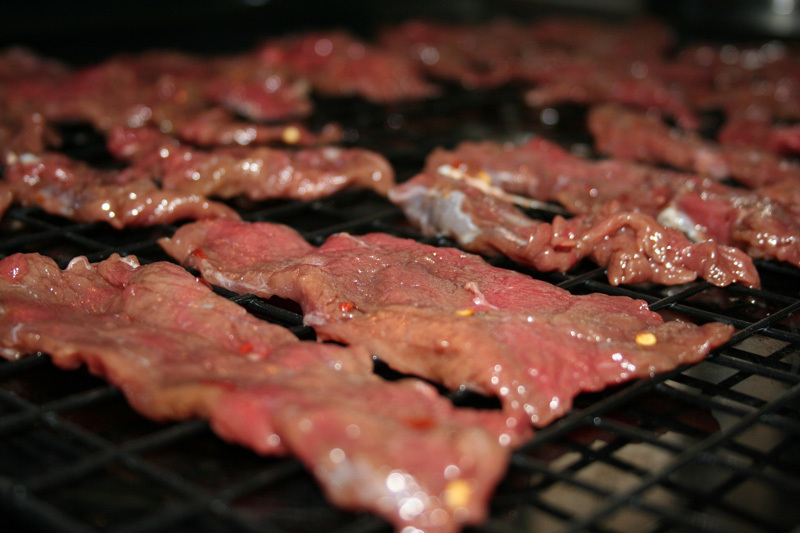 We’ve made our own jerky before but never teriyaki, which is my fav!! Can’t wait to give this a try! Do you think this would work with Palm Sugar? It tastes quite a bit like brown sugar. Beth, you could absolutely sub palm sugar! Keep that blood sugar stable!!! If the sugar doesn’t seem dark enough, you could always add a little molasses. I’ve used coconut sugar with about half the called for molasses (from our DIY Brown Sugar recipe). 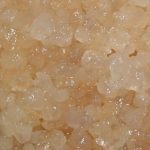 In fact, most sweeteners would work: honey, palm sugar, coconut sugar, date sugar, even stevia would work (but I haven’t tested how much, so you’d have to go by taste). Thanks for chiming in!